Documents are incredibly important in any office space, which is why it’s so important to invest in the right storage solutions. Our online catalogue offers an extensive selection of office filing cabinets to help you have a well-organised filing system in place. Our stylish filing units are imperative for storing folders, files and valuable written material, and help to keep your work area neat and tidy. We offer a wide range of storage cabinets, in a variety of colours, styles and sizes, to suit your requirements. A variety of wooden filing cabinets, steel storage cabinets, multi-drawer filing units and side filing cabinets are available with an array of depths, widths and heights to suit your needs. 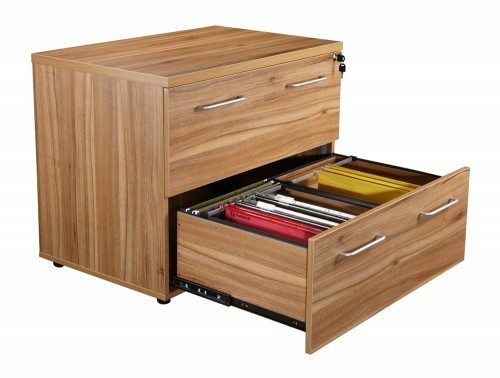 The metal filing units are available in a wide range of colours both vibrant and traditional while the wood filing storage units also offer an array of finishes including popular options such as beech, walnut, oak and maple. The storage units on offer boast a variety of features such as lockable doors, sliding doors, scratch resistant & impact, adjustable shelving and castors. Furthermore, an array of different sizes is on offer both tall and small to accommodate for any size of office space, whether it be a home office or a corporate office. 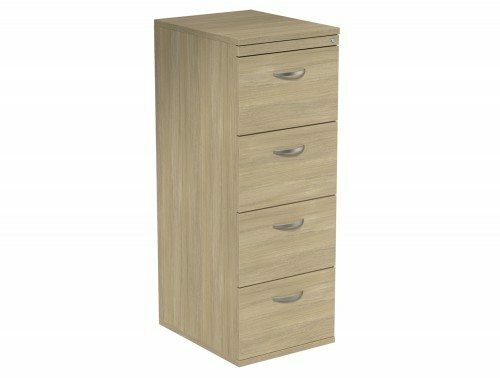 Our multi-drawer cabinets can have up to 15 drawers with individual label holders and if you prefer something smaller, our side filing wood cabinets boast a 2-drawer style. 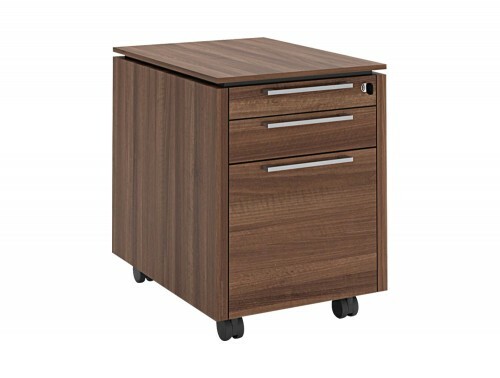 Our range of filing cabinet are designed with style and practicality in mind. 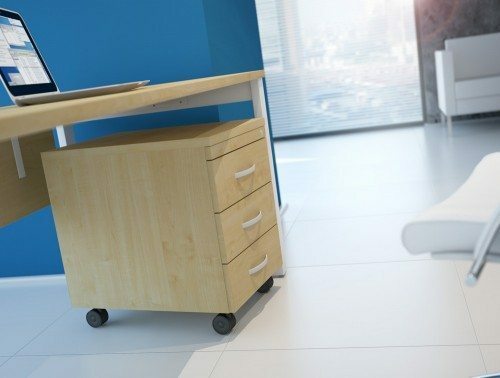 We source our filing units from some of Europe’s most reputable and trusted furniture manufacturers which ensures that you’re investing in a piece of office furniture that is high-quality and built to last. A selection of our heavy-duty steel storage cabinets are offered with a warranty which guarantees its performance and quality during that time. The products have also been rigorously tested to make sure it meets the required standards for home and office use. When running a busy business, it’s inevitable that you’ll have a lot of paperwork to deal with, from invoices and statements to sensitive material and valuable information. 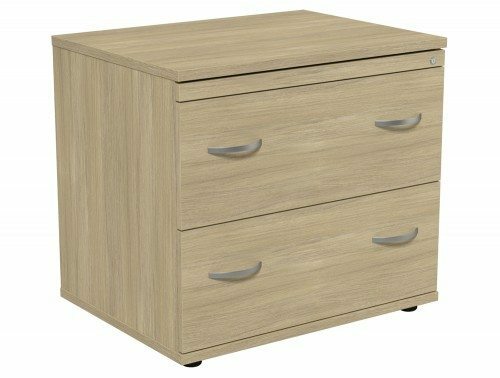 Filing documents in an organised manner is, as you might imagine, vital if you want to maintain organisation and productivity in the workplace, and the most effective way to achieve this is by having a filing cabinet. 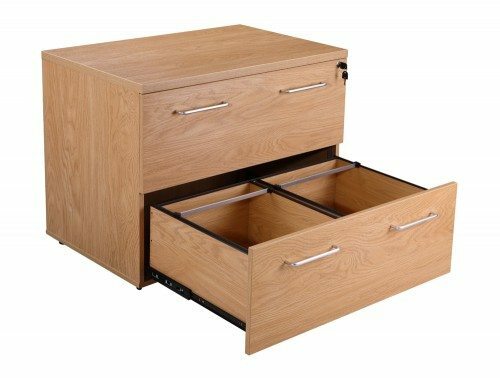 Filing units are also useful for household use, they are useful for storing important files you may want to keep safe like bank details and other private documents in your house. 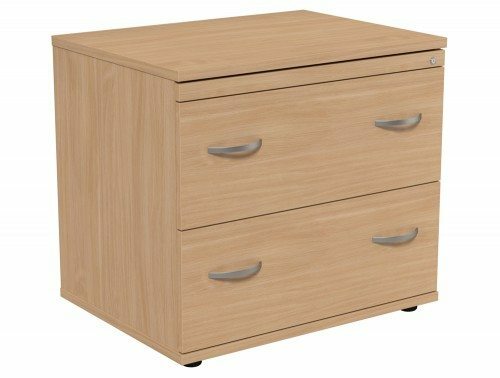 When choosing a filing cabinet, whether, for home or office use, it is important to take into account its functionality, durability and style design. Stainless steel storage cabinets bring about a chic, industrial look into the office. 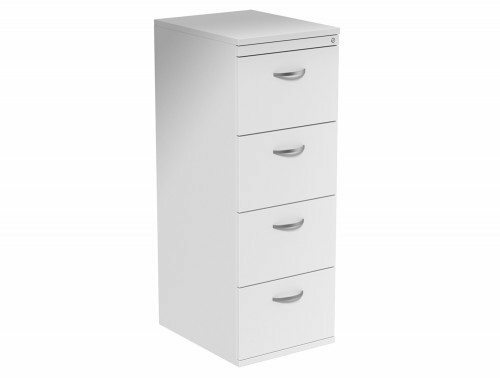 4 drawer filing cabinets would be one of the most common sizes you would find in an office. 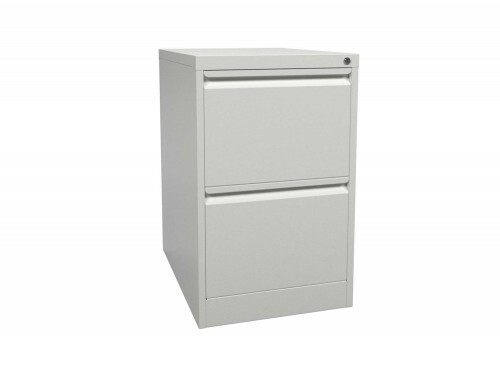 The lockable Bisley office filing cabinets in our catalogue is an ideal choice if you have private and confidential files in your office that you want to keep safe. They offer safety, security and additional peace of mind, and protect sensitive documents and valuables. 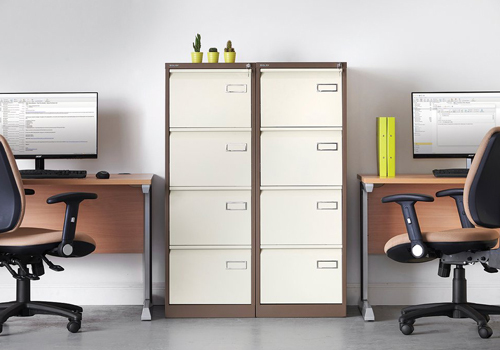 The larger size steel storage cabinets are ideal for offices who have lots of old files that they may wish to keep. 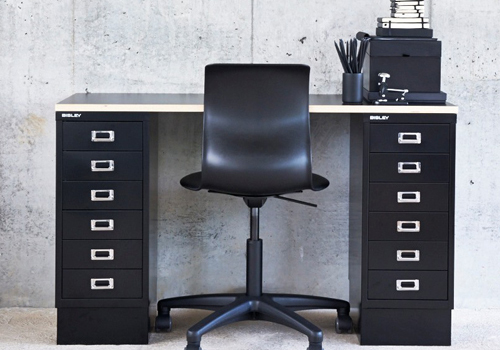 The 15-drawer storage units are handy if you want to de-clutter your office. Furthermore, a range of our stylish Bisley filing cabinets can be fitted with an anti-tilt safety device for maximum safety. The wooden cabinets in our collection bring a classic and timeless feel into an office space. Our 2-drawer solid wood side filing cabinets would be an ideal choice for home usage as it doesn’t take up too much space. 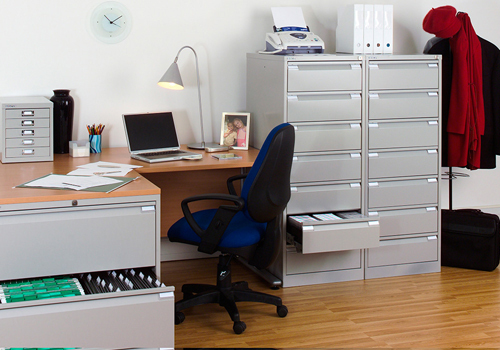 A4 filing cabinets are the ideal size for offices where there may be some space restrictions and a need to save space. 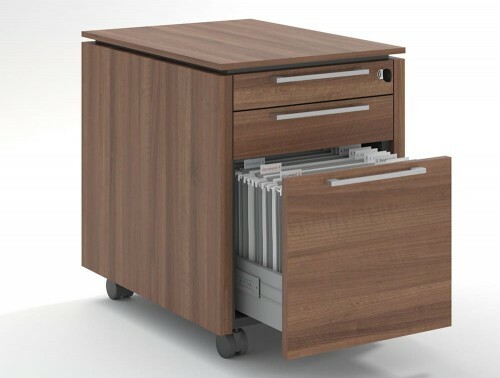 A selection of our side filing A4 cabinets can be positioned under your office desk to save space. 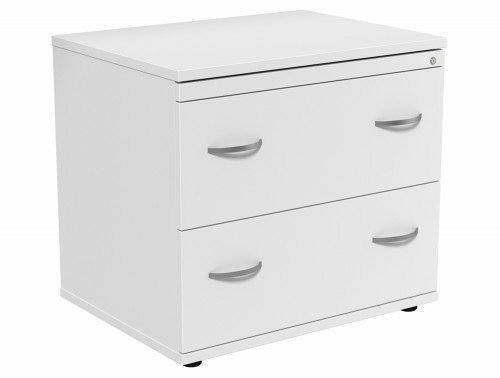 Here, at Radius Office Furniture, we understand that price is a big influencer when it comes to purchasing, that is why we offer an extensive range of lockable Bisley filing cabinets to accommodate for everyone’s price range. If you’re looking for a more affordable filing cabinet to fit in with your budget, we’ve got several cheap filing storage solutions in stock. For an even more affordable option, we have a range of second-hand meta storage cabinets for sale. All our used office furniture goes through rigorous quality testing to ensure that it’s in excellent condition when it reaches your workplace. 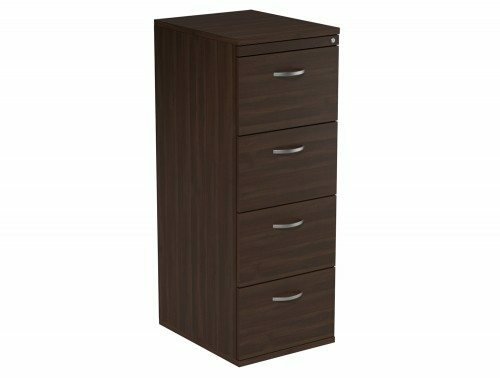 Alongside this, we offer more high-end modern file cabinets in our E-commerce store with some extra features. Whatever type of storage you are looking for to help de-clutter your office space, you can be sure to find it in our extensive range online. If you’d like to find out more about our range of Filing Cabinets or discuss your requirements, simply request a callback.